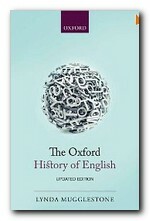 This is an updated version of The Oxford History of English which is now available with the claim that it’s ‘a book for everyone interested in the English language, present and past’. A reasonable claim – though one might wish to add the caveat: ‘suitable for everyone embarking on detailed academic research into the history and mechanics of English’. Because it is certainly not for beginners. It offers a detailed and scholarly history of the English language, starting as far back as 1500BC. And as Lynda Mugglestone’s useful introduction claims, the volume encompasses not only standard forms of English but also varieties stemming from geography, status and culture. The book comprises fourteen chapters, each written by a different linguist and representing a variety of interests, which makes the volume invaluable to students of linguistics up to post graduate level. Time-lines, language maps tables and charts complement the textual information. A phonemic table is also included and this is essential to the understanding of some language development explanations such as the Great Vowel Shift. Nothing essential to the study of the English language is omitted and this is given zest by frequent examples from literary works or artefacts, and by the implicit enthusiasm shown by the contributors. For example, Marilyn Corrie quotes the original of a Middle English text, along with the translation, showing a homely but avid interest in study skills. And whoever may wish to write this book out again on another occasion, I ask him that he write it correctly, just as this book teaches him. This is a neat reminder that books at one time could only be copied by hand, one at a time. North American English and its formation is dealt with, including citations of additions from Native American terms and usages – such as the native term Skunk. Other examples of English that have acquired semi-detached status are cited and these specifics are used to lead into the universal principles of language change, observable over thousands of years. Techniques for the analysis of language mechanisms are eloquently explained in the chapter Dialects and Diversity. Reference to rhyme and poetic metre show the development in a quasi graphical manner that is very pleasing to read. The Anglo-Saxon Chronicle gets appropriate consideration as do various Anglo-Saxon sermons and poems. The advent of Christianity is used to demonstrate the gradual transition from paganism as reflected in poetry. The establishment of a written vernacular is documented with due reference to King Alfred as possibly the first educator in English, via The Anglo-Saxon Chronicle. The volume deals in detail with Germanic influences and the French influence that followed it. Issues such as ‘high’ and ‘low’ languages and the imprint left on a society after the departure of conquering nations are all included in a comprehensive and detailed history. Considering more recent developments, Tom McArthur traces the status of English during the Twentieth Century with a quaint but comprehensive world map showing English language usage. In his conclusion David Crystal not only charts the observable influences on English of the Internet and its devices, but he also gives his own prospective notions for the future of the language. Each chapter is given its own lists of suggestions for further reading, and the book finishes with a huge bibliography. 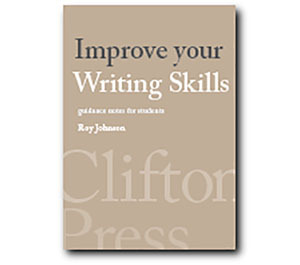 Although the level of detail is on a minute scale, the content is easily accessible, navigable and readable, given some prior knowledge on the part of the reader. I would gladly give The Oxford History of English to anyone embarking on a language-based programme of study, or to any dedicated amateur student of the English language, its history and its prospects.